So how does it feel to have your own kitchen?! Are you a newlywed couple who just moved into your rented apartment? Or are you the proud owner of your own house after fifteen years of marriage (Finally!)? Well, we congratulate you on your new home and as a housewarming present from us at the Aura Kitchen, let us tell you a bit about Kitchen cabinet color schemes! If you want your kitchen to speak the language of your family and show your Vanities to the world, the cabinet color schemes are the way to share the message! Even if you live in Texas, you can share your Richmond Hill roots with your friends through your kitchen reno tricks. Let the TV units, entertainment wall unit, and custom wall units be your teenager’s problem; let us get down to kitchen remodeling! So what’s the Basic idea?! The basic idea is simple; the color combinations of your cabinet will define your household. Here are the basic color combination ideas that can be expanded into great styling! White against your favorite color! Duh right?! But we thought we should get this out of the way first! Check out your ceramics and see the color that pops out the most. Get the cabinets in the same palette and paint your walls pure white, Voila! You are the queen of class! Darker shades against lighter palettes! So what do we mean by that?! Let’s take apple green as cabinets and racks with light green as the walls, or the ‘real orange’ as the main color with peach for the walls. You get the idea, dark blue cabinets against sky blue walls and congratulations your Oakville friends are as impressed as your Toronto in-laws, including the cousin in laws from Burlington and Brampton. Do you have cool kids who want colors everywhere?! Or are you, yourself, the cool kid who wants color everywhere?! We have just the thing for your kitchen remodeling. Ready?! Green cabinets and racks against yellow walls! Or black cabinets and racks against red walls! Or Purple cabinets against pink walls! Let the colors of life burst out of your kitchen and impress everyone in Mississauga and Vaughan with your bravery. Wall units define your identity, get the right custom wall unit and show Vanity with custom kitchen cabinets. The sales of home are dropping due to tight market and because of the recession in the economy. For homeowners who want to sell their home are finding it difficult to get good customers and this is preventing them from making a switch to larger homes. This has led to a rise in the renovation segment for homes and in order to get better price homeowners are upgrading their assets. 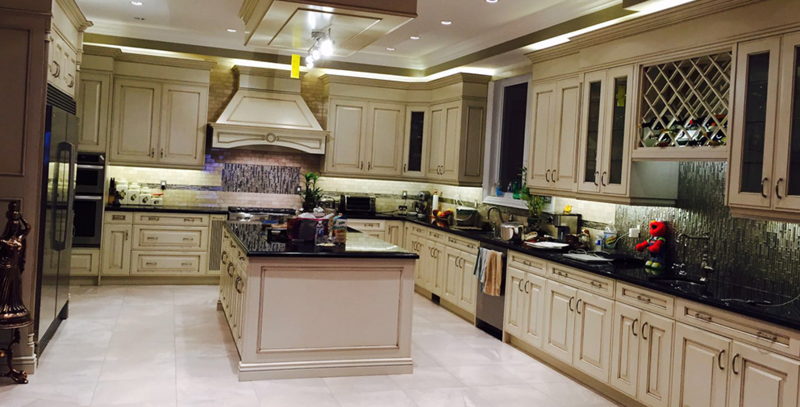 When it comes to renovating your homes, there is nothing better than getting new kitchen cabinets in Oakville. A new set of cabinets for your kitchen can change the entire look of your house and will enhance the overall value of your home. It can be said that in any form of remodelling budget, kitchen cabinets in Toronto take up the major chunk of this expenditure. They form the centre of a kitchen, and various other decision for renovating your kitchen is based on what type of cabinets are being picked up by you. Decisions related to hardware, appliances and countertops are all based on the layout and style of your kitchen cabinet. It should be kept in mind that one of the largest issue with cabinets that is bought from store is that there will be delay of eight to ten weeks before they can be delivered to your home. Make sure that your book them much before you start on with your remodelling or renovation of your kitchen. Kitchen cabinets in Oakville can also be purchased online and their deliver time is much less as compared to traditionally available cabinets. Depending on the construction and style picked up by you, delivery of online purchased cabinets can take around two to three weeks. Whether you got the kitchen cabinets custom made or through any other means, there are wide range of options available in terms of the type of wood that is made in making them. Veneer or laminate finished cabinets usually cost much less as compared to cabinets that are made of Oak, Hickory, Birch, Maple and Cherry woods. Frameless kitchen cabinets have been described to be more contemporary and it is because of this reason they are becoming increasingly popular these days. There is no face time in frameless kitchen cabinets and their doors are attached directly with the sides and dowels and pins are used to secure them. The new looks is provided by the hinges that are almost invisible which enable the user to have a wider access to these cabinets. In the last but not the least, kitchen cabinets in Oakville that are ready to be installed comes with these type of construction. This is the most prevalent form of construction method available in United States wherein the face is being built through hardwood pieces. These types of cabinets have their own beauty along with usage and are being used widely through Canada and US. Kitchen is one of the most crucial parts of your home specially for women. They have to spend their most of the time in kitchen to cook food. It is important that your kitchen must be designed and customized according to your needs. 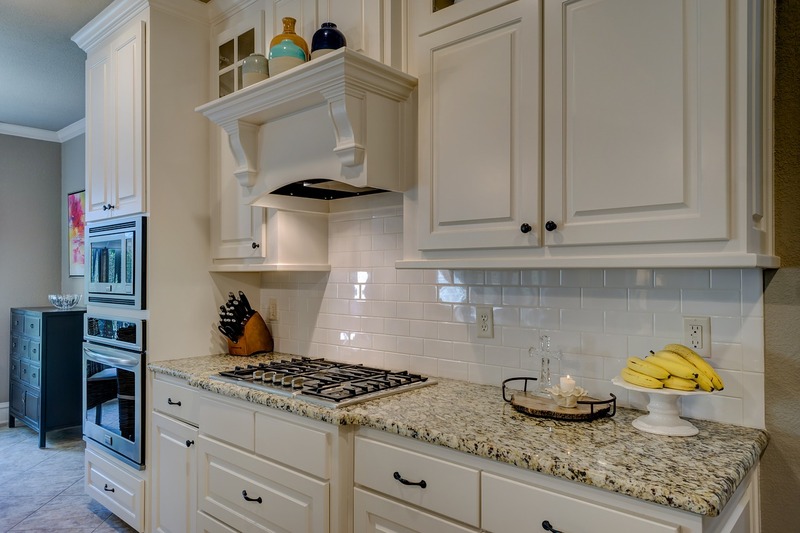 Properly customized and designed kitchen will help you to do your kitchen work more smoothly. Remodeling and renovations are two ways which can help you to make your old kitchen stylish and modern. During the Kitchen Renovation and remodeling, you can use different types of cabinets. 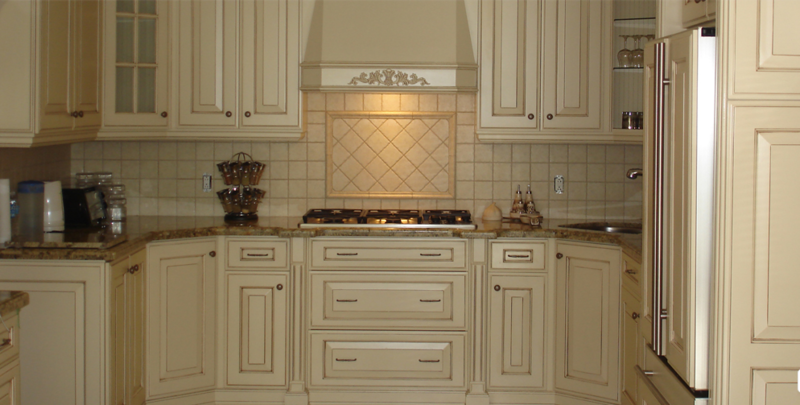 If you want more functionality, flexibility and advanced look, custom kitchen cabinets is the best option. However their prices are high as compare to other types of cabinets. Major benefit of these cabinets as comparison to others is they always provide unique style and design. They are designed according to your specific requirements. They are the best solution to optimize little kitchen spaces. If you don’t want to take a risk, try one or two custom cabinets for the first time. Once you get satisfied with their functionality, use for the whole kitchen. These cabinets can be applied to all types of kitchens, regardless new or old. Design, size and color of shelves must be selected before you go to the market. If you don’t find what you are looking for, tell your requirements to cabinet makers. Decide on which wall you want to install your cabinets. Measure sink and corner space accurately while buying cabinets.